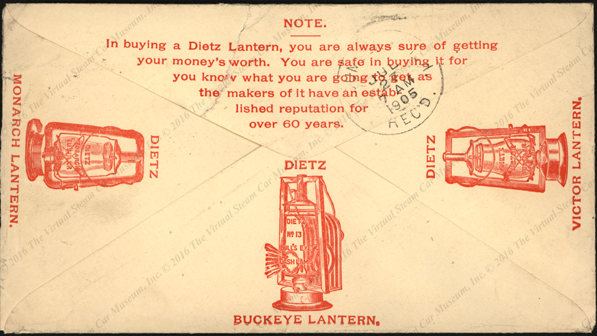 I found this lovely Dietz advertising cover at a postal show and decided that the Dietz Driving Lamp for Physicians was mounted on the edge of a Locomobile dashboard. The Dietz Driving Lamp. The Doctor's Friend. 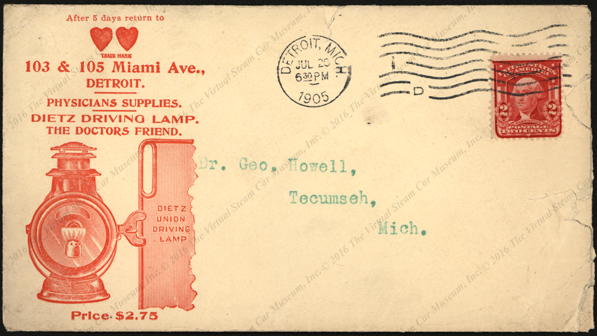 Postmarked July 26, 1905. Yes, that is a Locomobile dashboard! Contact us if you have additional information about the Dietz Driving Lamps for Locomobiles and Physicians or if you have questions.